Lying near the front of the throat and beneath the Adam’s apple, the thyroid comprises two sides called lobes. These lobes are connected by a strip of tissues called the isthmus. The total size of this glandular powerhouse? 2 inches. Thyroid hormone production is regulated via a feedback loop between the thyroid gland, hypothalamus, and pituitary gland – two deeply entrenched, tiny areas of the brain. The production of T3 and T4 hormones is a complex process. And as with anything complex, it’s not uncommon for thyroid problems to surface. It’s estimated that as many as 25 million Americans have a thyroid issue. Of this 25 million, roughly half (12.5 million) don’t realize it. Hypothyroidism, or an underactive thyroid, accounts for 90% of all thyroid conditions. Our body’s energy production requires a certain amount of thyroid hormones. A significant drop off in this production leads to diminished energy levels, producing a strong sense of fatigue and weakness. A shortage of thyroid hormones slows the body’s metabolic rate. When this happens, we don’t digest as many foods and fewer calories are converted into energy. For many thyroid patients, a lack of treatment – or insufficient treatment – makes weight loss nearly impossible, even with proper diet and exercise. Hashimoto’s thyroiditis, an autoimmune disease, is the most common type of hypothyroidism. As we all know, a suppressed immune system makes it much more difficult to ward off harmful viruses and bacteria; this results in more frequent illness. Most worrisome is that Hashimoto’s causes the immune system to attack otherwise healthy organs and tissues. Hypothyroidism that goes untreated can damage the peripheral nerves. These nerves relay information from the brain and spinal cord to the rest of the body, including our arms and legs. Damage to these nerves may cause numbness, pain, and tingling in the affected area(s). Our brain houses a particular type of immune cell called microglia. 10-15% of all brain cells are microglia, which are responsible for stimulating the body’s immune defense within the central nervous system (CNS). Brain fog is directly attributable to brain inflammation – a byproduct of irritated microglia cells. Forgetfulness, inability to concentrate and diminished cognitive ability are all telltale signs of brain fog. The brain is susceptible to inflammation. Besides experiencing a general loss of mental acuity (“brain fog”), our neurochemicals, i.e., neurotransmitters, are thrown out of whack. As the human brain is already susceptible to anxiety thanks to the fight-or-flight response, further imbalances increase the risk of anxiety and depression. Sometimes we intuitively know when something is wrong with our body. Relatedly, thyroid troubles are notorious for creating a mess of subtle yet distracting symptoms. Here’s a “short list”: mood swings, excessive sleep, muscle and joint pain (including tendonitis and carpal tunnel), cold hands and feet, brittle nails, dry skin, hair loss, constipation, swelling of the neck. Being the smarties that you all are, you quickly grasp the importance of thyroid health. 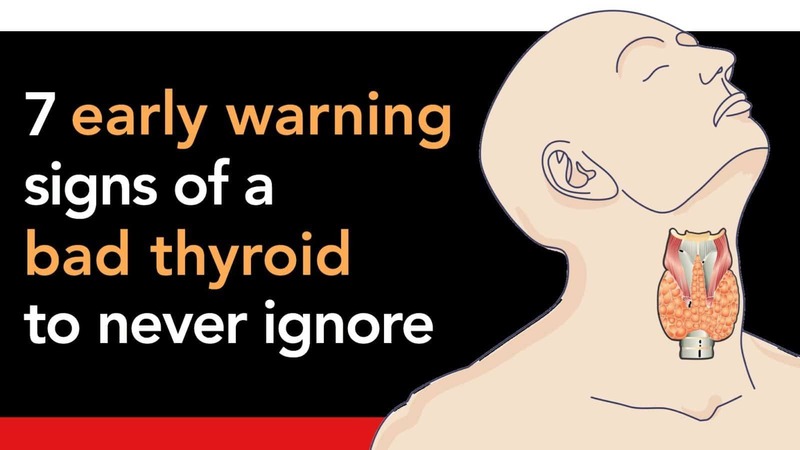 But the truth is that many people downplay the importance of a healthy thyroid gland. Some are utterly unaware of what the thyroid is and what it does. Myxedema, an advanced form of hypothyroidism is rare, but when it occurs, it can be life-threatening. Signs and symptoms include low blood pressure, decreased breathing, decreased body temperature, unresponsiveness and even coma. In extreme cases, myxedema can be fatal. Dr. Amy Myers, a board-certified physician, and survivor of Grave’s disease recommends the following ten things to improve thyroid health. Make sure you are taking a high-quality multivitamin with Iodine, Zinc, Selenium, Vitamin D, and B vitamins. Take a tyrosine supplement such as this one by Thorne Research to help with the FT4 to FT3 conversion. Deal with your stress and support your adrenal glands. The adrenal glands and thyroid work hand and hand. I recommend restorative yoga and adaptogenic herbs (which) support the adrenal glands in coping with stress. Get 8 to 10 hours of sleep a night. Have a biological dentist safely remove any amalgam fillings you may have. Watch your intake of raw goitrogens. There is a bit of a debate surrounding this. Get fluoride, bromide and chlorine out of your diet and environment. 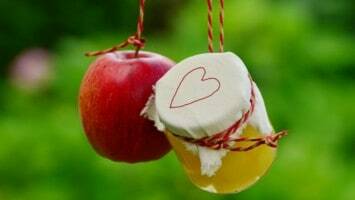 Heal your gut. 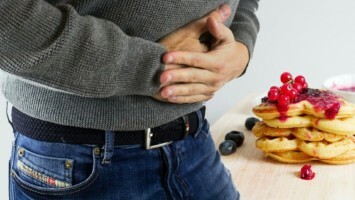 A properly functioning digestive system (gut) is critical to good health. Find a functional medicine doctor in your area and have them run the above laboratory test and work with you to find your root cause of the thyroid imbalance. Incorporating the right amount of iodine in your diet also helps! Iodine-rich foods include sea vegetables, cranberries, yogurt, fish, eggs, whole-grain products, and unpasteurized dairy products.